An innovative collaboration and cutting-edge digital technology offers gig-economy workers across Italy steadfast and trustworthy insurance coverage with pay-as-you-go convenience. With the gig economy now firmly established in Italy, the freedom of flexible working is highly attractive to many. However, the downside is a lack of employer protection from unexpected events such as sickness, injury or civil liability. ArgoGlobal Assicurazioni S.p.A is working with two of Italy’s most innovative digital platforms, Jobby and insurtech start-up Axieme, to respond to a need for on-demand, pay-as-you-go insurance for temporary and short-term workers in Italy. Axieme, a digital insurer, provides instant bespoke cover via a responsive online platform. Jobby connects job-seekers with short- and long-term assignments via a mobile app. So how does the cover work? Mario Borrelli, Chief Underwriter of ArgoGlobal Assicurazioni S.p.A, and underwriters work with Axieme to provide the coverage. Axieme and Jobby handle the front-end user interaction via an API (a digital interface that connects both systems and enables them to exchange information in real time). Users can activate their insurance via the Jobby platform when they accept a job. The policy is then live for the term of their assignment and protects workers against the unexpected (such as illness, injury or civil liability) while in service. Cover can also be extended on an ‘elastic’ basis if the work rolls on for longer. The real-time exchange of information between the two platforms enables Axieme to access ‘consumption’ data of the policy automatically and immediately, making it cost efficient for all. Take a look at the video here: https://www.youtube.com/watch?v=nqHfLDjsWes. A feature of this particular model is the social insurance approach, launched by Axieme. Based on the principle of reward, part of the premium is reimbursed to policy holders who do not make a claim. This in turn empowers and encourages the insured community to adopt prudent attitudes. So far more than 4,500 hours of coverage have been provided to more than 600 gig-workers. 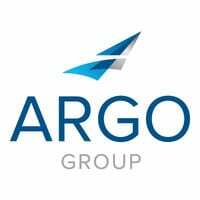 ArgoGlobal Assicurazioni S.p.A predicts growth in the concept of insurance based on immediacy and flexibility. As the gig economy grows, so does the need to provide a level of stability and security for workers in an ever-shifting, unpredictable environment.